UGANDAN police are searching for 17 Eritrea players who went missing from their team hotel in Kampala and didn't return home following the country's elimination from a regional tournament. Police spokesman Ibn Senkumbi says the footballers were being sought for questioning as to why they weren't on a plane to Eritrea earlier Tuesday with the remainder of the squad after playing in the CECAFA Cup. Eritrea failed to win a game at the tournament for east and central African countries. 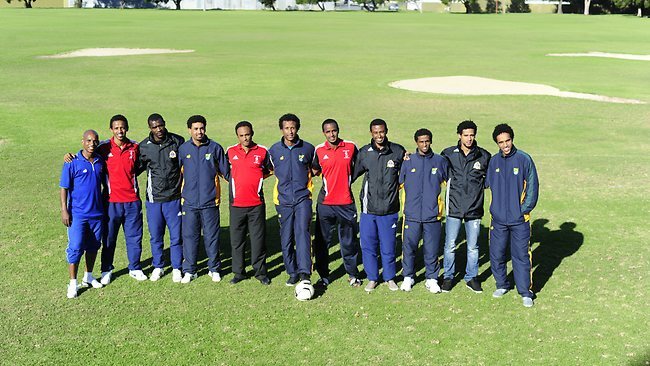 The entire Eritrea team sought refugee status at the 2009 CECAFA Cup in Kenya and later ended up settling in Adelaide where they now play for State League teams. Some Eritrean athletes also went missing at this year's London Olympics. irst of all thanks for the post. In actuality it is remarkable post. I do resembling your rigid workings and am glad about your perception. I can refer you another site thesis writing service where one can get best assistance. read this article. I think You put a lot of effort to create this article. I appreciate your work.